Today is my appointment at the hospital with the dermatology consultant. The appointment, by the time we got to this point, actually came through remarkably quickly. I’m terrifically thankful for the NHS and relieved to be seeing the experts. It wasn’t long until I was called in to my appointment. What a lovely young chap (eek do I sound old?). He took his time to ask me questions, dates and how I felt. Then the manual examination. He then asked for the senior consultant to come in and do an examination to double check she agreed with his diagnosis. The good news is the drugs are working! The not so good news is that the consultant said I had obviously managed to get a severe attack of this stupid disease. In order to get on top of the internal and oral spread, I am however going to glow for a little longer as he wants me on the big girl dose for an extended time. I reduce one of the steroids by 5mg a week but in reality it’s a pretty strong dose with risks associated with their long term use and many many side affects. Very impressed with the consultation today and feeling super grateful for our NHS. Let’s see how I get on with all these drugs and then I am to return in April to see the consultant and check progress. How cathartic was my rant yesterday for me? Huge. Thanks for listening. Clearly it also had an impact and things have moved on in just one day. Was it because of…. My rant? My tears? My persistence? Or actually good Drs but bad gatekeepers? Very early this morning I received a call from the receptionist at my GP surgery. Another Dr in the practice whom I’ve not seen for several years wondered if I’d got time to call in to see her. The receptionist knew nothing more and said if it was difficult to come in to an appointment, then the GP wanted to speak to me on the phone later on today. Of course I’d make time for a face-to-face appointment. My appointment was booked for late morning. During the next few hours my mind was busy wondering why I’d been summoned? Was I to be told off for making a pain in the ar*e of myself chasing up appointments? Did they have the blood test results and wanted to share them? Were they able to refer me back to the dermatology specialists urgently. Was it good news or not? I turned up 20 minutes early for my appointment and was quickly shown down to the consulting room. It was good news. Very very early this morning my GP had received a call from the specialist I’d seen in January. She was very apologetic that I’d been left out of the loop – although still insistent that I didn’t have a follow up appointment booked and nothing available until the end of March. She was concerned that the disease had advanced and suggested I should be fast-tracked into the hospital system of urgent referrals for dermatology specialists. However apparently she is also aware that this isn’t going to be immediate! So my poor GP spent a while on the phone learning about the disease. A page with handwritten notes (lots of them) and some very complicated instructions about what they’d do for me right now to control the spread of the disease and hopefully reverse the effects so far… but it’s not going to be an easy 10 days ahead. I had further examinations, swabs taken but no biopsies at this point. I was asked if I was prepared to be part of an unauthorised trial. That sounds a lot worse than it is but essentially the specialist (and her colleagues) had struck upon a combination of drugs that seemed to work when administered in this way for the oral disease… however it’s unproven and might be questioned. Absolutely I’m happy to participate – medicine can only move forward with trials. After all penicillin and many other things we use today were discovered by mistake or chance. My GP told me that we’re going to hit it hard by throwing everything we’ve got at it for a short period of time. We’re going to nuke the disease! She’s going to find out the blood test results and has also put in an urgent referral to the hospital dermatology specialists. 20 minutes later I left and headed off to the pharmacy to collect a bulging carrier bag of medicine (and I’ve still got to go back tomorrow morning as they’ve not got 3 of the prescriptions I need in stock!). The pharmacist did query with me the ‘trial’ drugs. They were concerned that they’d been mis-prescribed but when I explained it, they were happy to help. So over the next 10 days I’m going to be ‘nuking’ my body with a vast array of medicines in tablet, cream, ointment and liquid format. There are a number of potential side affects of the drugs I’m not looking forward to but hell it’ll be worth it if it works… and the potential side effects may not be a problem for me. It’s worth having an annual NHS Prescription Prepayment Card (PPC) http://www.nhsbsa.nhs.uk/1127.aspx After only today’s pharmacy visit and the many prescriptions required, I’ve already saved! 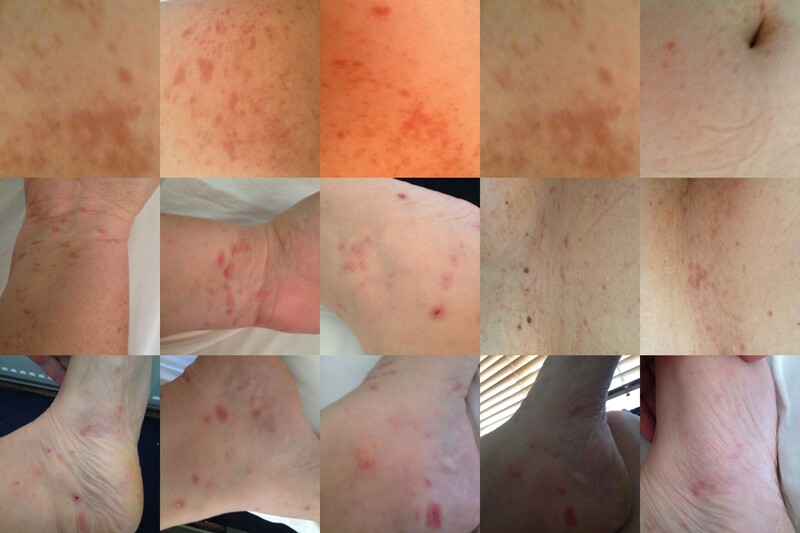 You can’t have an ‘urgent’ referral to a GP dermatology specialist – it has to be in a hospital setting. So here goes… wish me luck! and also need an ickle rant. Re my autoimmune stupid f’ing thing..
Firstly it’s got worse. 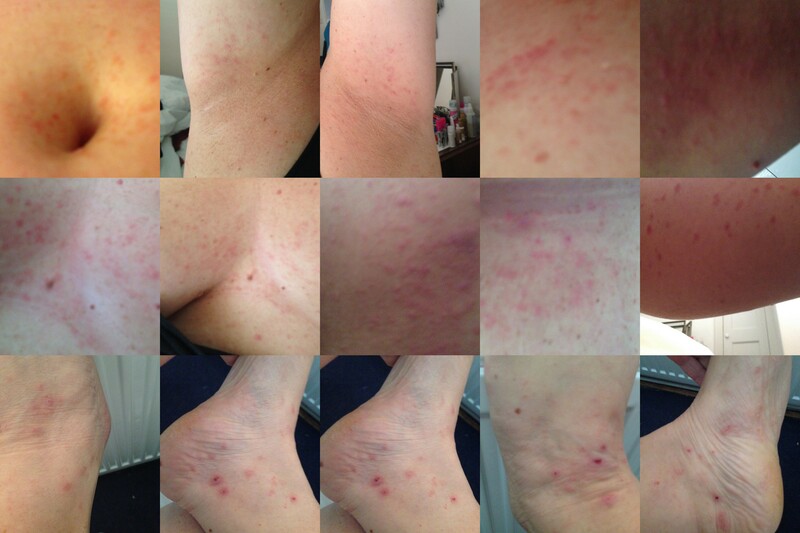 I only had external rashes (OK really unbearably itchy and all over my body but…) when I saw the specialist in January after a 2.5month wait for an appointment. The external spots have improved but joy I now have internally. At my January appt my specialist informed me she was relieved there was no evidence internally. The external rash can be managed by steroid creams but internally the treatment plan of oral steroids has pretty horrid side affects and was to be avoided at all costs. I also had blood tests in January. Whilst with my specialist she confirmed my appt for 4pm on Tuesday 24th February. Approximately 3 weeks ago, I noticed signs that it may have spread internally but figured if it didn’t get any worse I could hang on for the appointment already in the diary. However a couple of weeks ago the pain and ‘affects’ of the internal disease got too much. I visited the specialist office in the hope of seeing her briefly to be able to get my suspicions confirmed and diagnosed, manage it or at least book an urgent appt. I was sent away by the receptionists as I wasn’t a patient there! Next stop my GP. I had to make an appointment… and wait for the appointment… but relatively quickly got one on 6 February and she put in an urgent referral to be seen by the specialist with the new symptoms. 16 February I chased this up.. the pain now getting unbearable at times and also having a permanent ‘scratch’ in my throat whatever I eat. Call me old-fashioned but I’d like to get that all sorted! Apparently my ‘referral’ wasn’t urgent. But I got the secret code and phoned the specialist to make an appointment. The first one being at the end of March. I said there was little point and disappointed as I was, at least I was seeing her next week. They then told me that there was no appointment for me next week either! The specialist office receptionist called me back later having checked with the specialist who said she didn’t need to see me again. Hmmm so I guess that’ll be no follow up, or blood test results then? I called my GP to get an urgent appointment there. I was told there aren’t any appointment for a week or so. I called my GP back again… they manage to find me the last appointment of surgery times yesterday evening. She was horrified. She inspects my mouth and throat and also does an internal examination and confirms there are lesions in both areas. She looks at her notes and sees a letter from the specialist to me following my January appointment that says she’s got an appointment with me in a month’s time to follow up. I neither received that letter nor (I now know) have that follow up appointment. She faxed this, with a covering note saying it is urgent, to the specialist surgery last night whilst I was there, asking that they ‘fit me in for an urgent appointment’. This afternoon I call the specialist surgery to discover the fax is still on their fax machine, that nothing has been done, that they have no appointments until the end of March and, after quite some time on the phone, they would now discuss it with the Dr tomorrow to see if she can make time for me soon. No urgency. No apology. And no reference to the letter from the specialist confirming that she had an appointment in the diary to see me! Allegedly I’ll hear from them tomorrow. Apart from being in pain and really not loving the side effects of the spread of this disease, I’m so very disappointed with this specialist surgery’s approach to healthcare. It’s no wonder that people are unhappy with their NHS when things like this happen. I’m fortunate in that the NHS have been excellent to date… but it’s individual cases like this that leave a bad taste, get reported in the press and then make people care less about keeping our very valuable free National Health Service available to all. I know that what I’ve read on the British Association of Dermatologists website that if left untreated it can become erosive internally. Call me old fashioned but I think this may be an extreme weight-loss program!! And also once ‘erosive’ it may develop into cancer… been there already and not sure I really want to do that one again particularly when it may be avoided if managed by drugs and care from a specialist early on! Rant over… but thanks for listening!